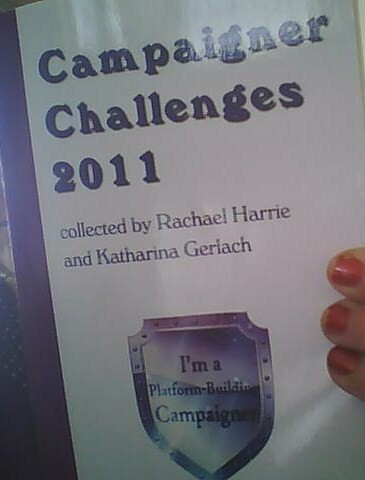 “Campaigner Challenges 2011” collected by Rachael Harrie and katharina Gerlach, Published by Independent Bookworm, USA. 176 flash stories for a noble cause it states on the front. On the back it reads What is an imago? Can you imagine a “synbatec”? Do you know how many different ideas are sparked by a cliché phrase? Up to 400 participants took up the challenges Rachael Harrie thought up for her “Platform Building Campaign”. 176 of these flash stories are collected in this anthology in memoriam of Harry Moseley. Despite his brain tumour, Harry raised 85000GBP for Cancer Research before he died aged eleven. This Book supports his charity. That’s right Harry died on 8th October 2011, shortly after Rachael and Katharina came up with this idea, to support his charity. I am one of those 400 participants. When I shyly opened the parcel at work and discovered and read not one, but three pieces of flash fiction I had agreed could be used, one of my work colleagues grabbed me by the shoulders and shook me saying “you are a writer, congratulations”. When I later mentioned the book to an online friend I was told, “Shout it from the roof tops“, and another said “you are a published writer”. In all cases I was touched by their warm enthusiasm and their obvious joy for me. It certainly was a surprise for me to see my name in print. 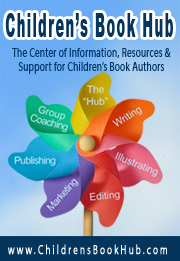 For many reasons the book and what it represents has come to mean a great deal. 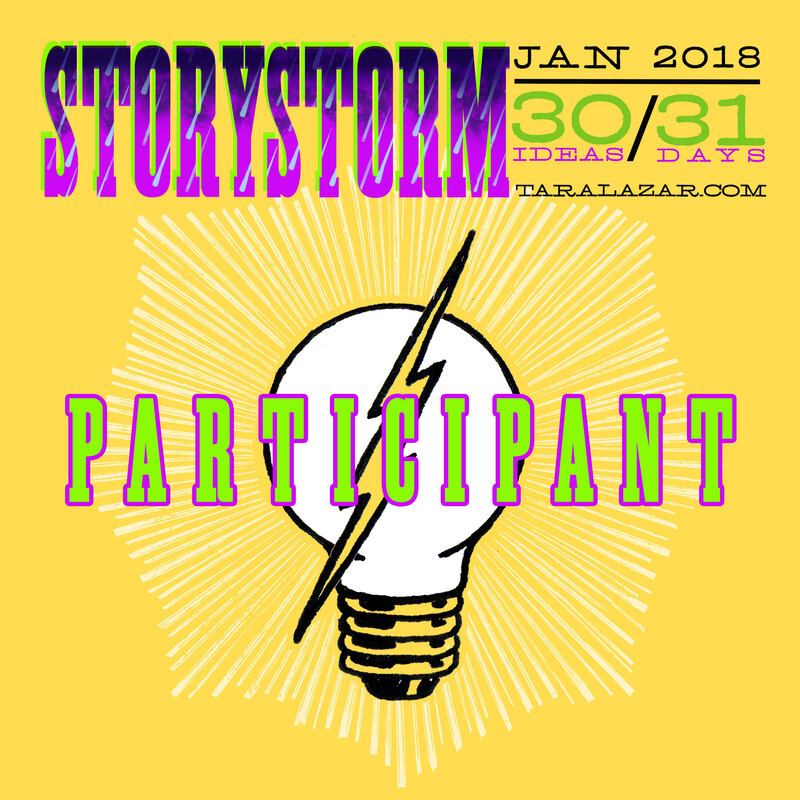 Firstly it was the first time I had participated in a huge Challenge with writers from around the world, thanks to Rachael, her ideas, expertise, her time and commitment in putting it together. It consisted of three Challenges. One was a post of no more than 200 words starting with the sentence ..The door swung open ..and finish with …the door swung shut. Second Challenge was a 200 word post consisting of 5 words I had never heard of, infact had to google to find their meanings and the last Challenge a 300 word post consisting of specifics such as a beach scene, mood of character, a certain smell, including 5 imaginary words among other specifics proving one of the toughest for me. Secondly, the amount of wonderful friends/writers I have come to know, and who continue to inspire me. The chance it gave for me to stretch, to step outside my comfort zone, to try something new and different. To experience feedback, and to learn. 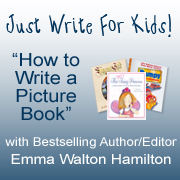 To view the writing world from different areas, different view points, illustrators, etc. It was also fun… oh yes, so much fun. More importantly and quite unexpectedly to help in supporting a charity that affects many people all over the world. I look down on this book in my hand, and feel quite proud. Rachael will hold another Campaigners Challenge in the New Year, keep an eye out for it on her blog Rach Writes, and I hope I meet you there. 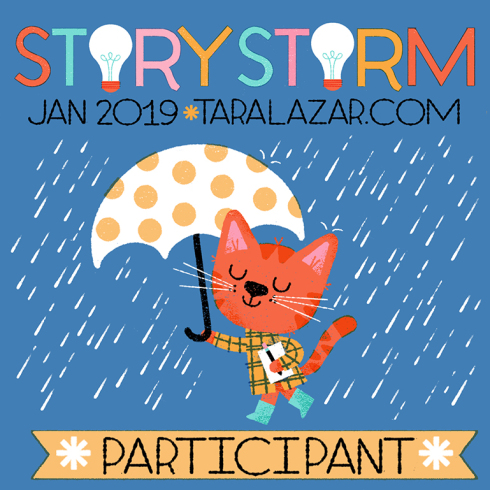 This entry was posted in ideas for writing, Platform-Building Campaign, published writing and tagged Rachael Harrie, Writers Resources. Bookmark the permalink. So true: I look down on this book in my hand, and feel quite proud. Congratulations and you should be proud. Thankyou Stacy, I was encouraged to post about it. I hope it will be a big help to the charity. Thankyou very much Tania, yes! Congratulations, Diane, so proud of you! 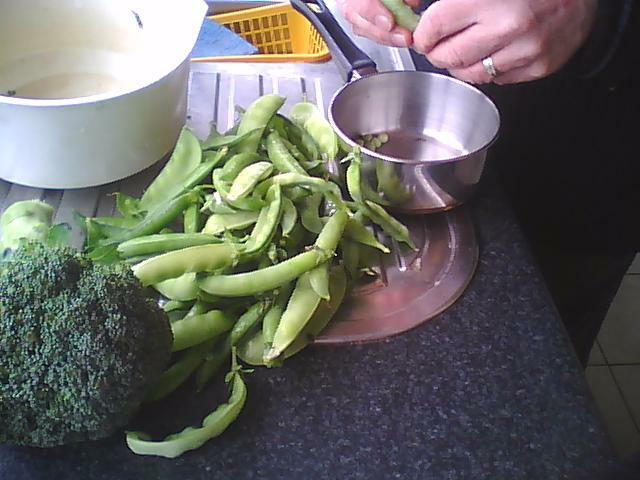 Thankyou so much Joanna, Everyones encouragement helped including you. Thankyou so much Pat, yes it was fun to see it in print, something I didn’t think would happen this year. Thankyou also for your encouragement. Thankyou for the linky MMM. I too blogged about the “Campaign Challenges 2011” and saw your blog come up at related features. So glad you found this of value. I obviously did, too. I agree with you in that it feels good to have your name in print and am glad you were one of the ones to submit your stories. I’ll look them up because I, too, ordered the books. (I ordered two). What were the titles of your stories? I guess I could do a search on your blog as well. Congratulations about the book. You so deserve to be proud. ( I know I am.) lol! Thankyou so much Clar, sorry I didn’t see you here. My entries are the last in each challenge so will not be hard to find, Page 81, 134, and 198 under my name, Diane Tulloch. 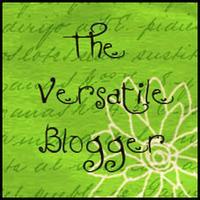 I hope to change a few things on my blog in the New year…… just very nervous about doing it as I tend to cause problems when I play around with it. ….. will look into it thanks Clar. It’s really good it was made into a book as I tried to read lots of the challange stories and for it to be for charity is great. I don’t know how everone managed to get through the challanges they were so hard ,so well done to all who took part, I take my hat off to you. Well done Diane for having you contribution in the book. Thankyou very much Anne, its nice when someone says something nice like this once in awhile…. it helps enforce new strength in going forward. I think we ALL need it at some time in our lives, so thankyou for your kind comment. Thanks Clar for connecting me.